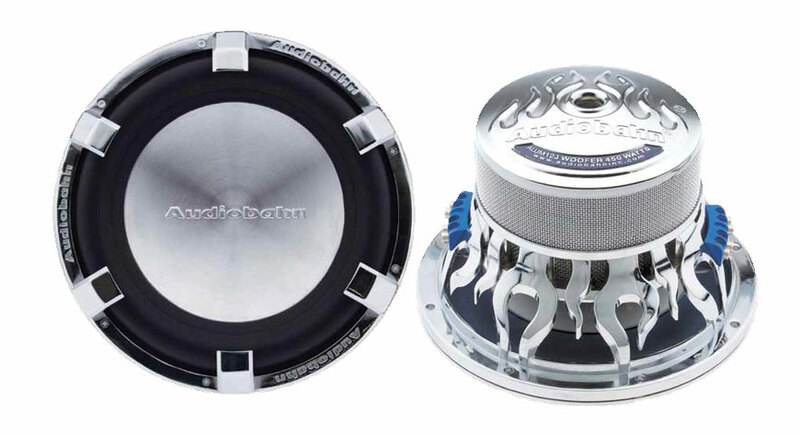 DUAL 6-OHM CONFIGURATION: Accommodating the rising trend of triple-subwoofer applications, Audiobahn’s Sound Q subwoofers come in dual 6-ohm configurations. This allows three Sound Q subwoofers to be wired in a 1- or 4-ohm operation. You now have the option to use a wider range of amplifiers to fit the needs of your specific application. SURROUND: To lengthen the life of the woofer and to ensure continued enjoyment, this series’ surround is made from EPDM rubber, a denser yet flexible material that is designed to hold its shape over time. It is made to withstand weather conditions such as high and low temperatures. MULTI-CONNECT LUG LOCK TERMINALS: Audiobahn’s patented Multi-Connect Lug Lock Terminals offer increased versatility in wiring multiple subwoofers to an amplifier or to another voice coil. Multi-connect terminals allow you to use single wire connections in each terminal rather than combining multiple wires into one terminal. This feature allows you to use a full 8-gauge wire in each terminal. Hole Cut Out 9 3/4"